At least five million Filipinos abroad send shipments of durable and consumable goods to their families back home every year, according to the Door-to-Door Consolidators Association of the Philippines (DDCAP). Mostly, these are contained in balikbayan boxes which are charged a fixed freight rate regardless of the weight of the contents, making them very affordable to overseas Filipino workers. A new set of rules on balikbayan boxes—Customs Administrative Order (CAO) 05-2016—will take effect on August 1, 2017. The new regulations stemmed from the passage of the Customs Modernization and Tariff Act or CMTA (Republic Act No. 10863), which was signed into law in May 2016. The CMTA updated many of the provisions of the old Balikbayan Box Law that removed customs duties on personal goods sent home by overseas Filipino workers. 1. How much is the ceiling on the value of tax-free items? The CMTA increased the ceiling on the value of tax-free personal items that can be sent via balikbayan boxes to Php150,000 from Php10,000. The law also raised the de minimis value of goods subjected to duties from Php10 to Php10,000, which shall be adjusted to keep up with inflation once every three years. The increase in the value of minimum goods subject to import duties lessens the discretion of customs officials to inspect goods and impose taxes, according to lawmakers. 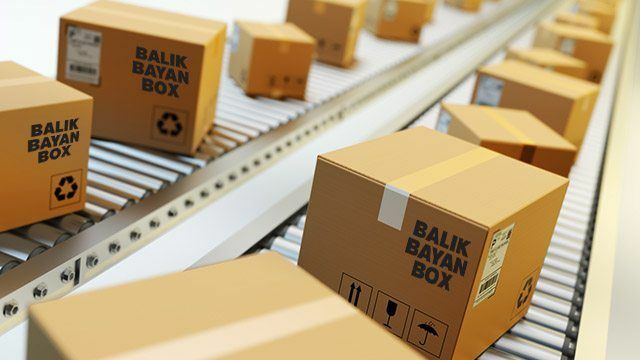 In a Facebook post, Bureau of Customs commissioner Nicanor Faeldon appealed to overseas Filipinos sending balikbayan boxes not to abuse the tax-free privilege to minimize the loss of potential government revenue. “Ang programa pong ito ay isang pribilehiyo at regalo ng gobyerno sa ating mga kababayan. Kaya po tayo'y nananawagan at umaapela sa likas na kabutihan ng ating mga kakababayan na huwag po itong abusuhin para sa tunay na pagbabago,” (This program is a privilege and a present for our fellow countrymen. That’s why we’re appealing to the innate goodness of our countrymen not to abuse (this privilege) towards genuine change,” he said in a Facebook post. 2. Who are qualified to send tax-free balikbayan boxes? *Recipients of the balikbayan boxes must be a relative of the sender up to the fourth degree of affinity to qualify for the privilege. 3. How many balikbayan boxes can qualified overseas Filipinos send? Qualified Filipinos working or living abroad can send up to three balikbayan boxes in one calendar year (January 1 to December 31) tax-free, provided that the contents of all shipments only amount to Php150,000 in total. If you ship an item or items exceeding Php10,000, the BOC will consider the parcel as one of three availments of the privilege for the year. "For instance, if an OFW has been exempted from duties and taxes on his/her first availment, amounting to Php 100,000, he/she can only avail the remaining Php 50,000 for two remaining availments, in a given calendar year," the BOC told Entrepreneur Philippines. The BOC reminds OFWs that these balikbayan boxes must only contain personal and household effects only. The privilege cannot be used for the shipment of items for barter or commercial use. 4. 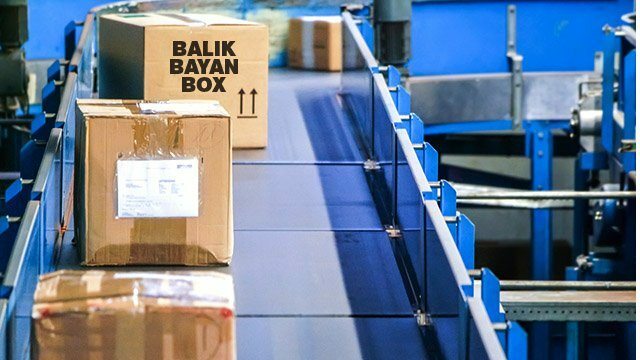 What are the correct procedures for sending the balikbayan boxes? Here comes the tedious part. To assure the BOC that the boxes sent home contain only permitted items, the bureau is requiring senders to accomplish information sheets that will detail the contents of the shipments. Everything in the box, even secondhand items, must be declared, including their value and quantity. If the box contains new items, the sender must provide the necessary receipts to certify their value. Faeldon clarified, however, that gifts, groceries and other secondhand items need not to be provided with receipts but must still be declared on the sheet with a corresponding “approximate value.” He cited a used shirt bought for Php500 as an example, which may only have an approximate value of Php100 once shipped. Senders may download these sheets online or may ask for copies from accredited consolidators or foreign freight movers. The BOC requires senders to prepare three copies of the forms for the consolidator, deconsolidator and the sender. Otherwise, the BOC will assess if the shipment can avail of the CMTA privilege and be shipped accordingly. Aside from the information sheet and some necessary receipts, the sender must also provide a photocopy of his or her passport to certify citizenship. 5. How much is the processing fee? There is a processing fee of Php250 that the sender needs to pay to the BOC for each balikbayan box to be sent home. Even a parcel containing items less than the de minimis value of Php10,000 are subject to the processing fee. Any sender and/or deconsolidator caught violating the rules is liable to fines of up to Php300,000 and even criminal prosecution. This article was corrected on August 9, 2017 to clarify that the Php150,000 ceiling on the value of tax-free balikbayan shipment applies to three shipments within a calendar year. The original version of the article mistakenly stated that the ceiling was for each shipment. We deeply regret the error.